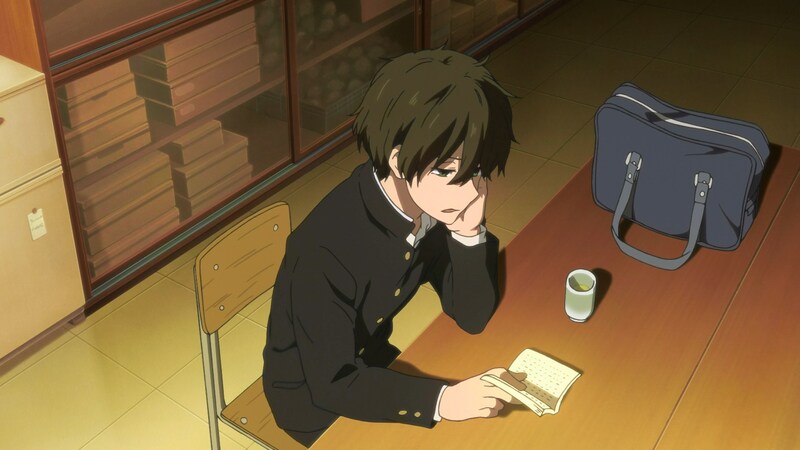 Hyouka was a work of love by Yasuhiro Takemoto. While he honed his directorial talent on works with comedy like Full Metal Panic? Fumoffu and Lucky Star, Takemoto had also worked on more serious titles like Full Metal Panic! The Second Raid and The Disappearance of Haruhi Suzumiya. He had read the “Classics Club” novel series by Honobu Yonezawa and found them fascinating. 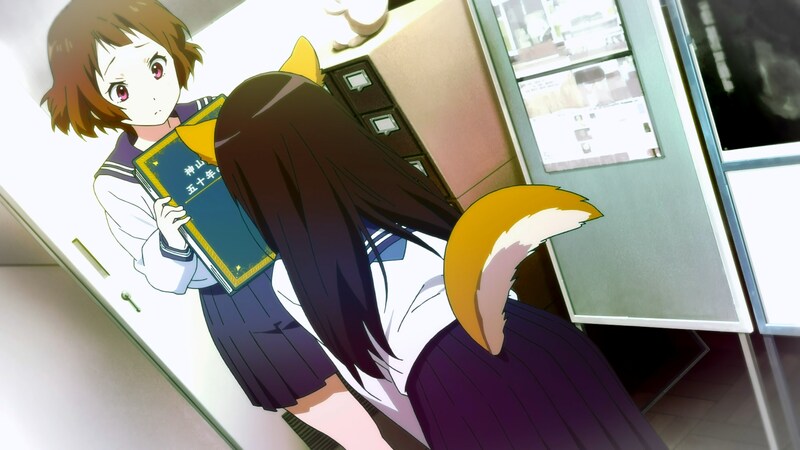 As Kyoto Animation was beginning to move away from relying on Kadokawa Shoten and TBS to provide them material to adapt, Takemoto pushed for one final adaptation of this Kadokawa Shoten novel series. With how it could fit in Kadokawa Producer Ito’s schedule following Future Diary, it was a good choice since the first four novels only allowed 22 episodes worth of content. 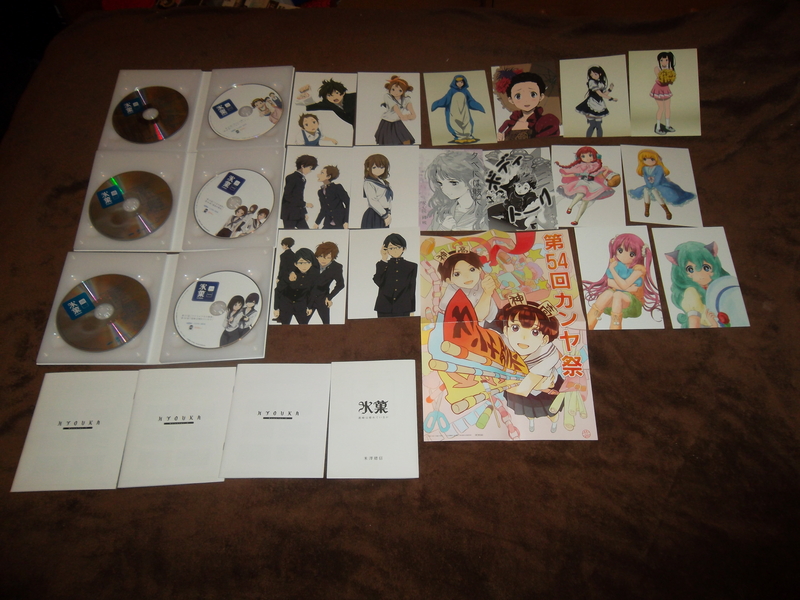 As with most Kadokawa titles (Future Diary being the weird exception), they released the show in 2-episode home video volumes for a total of 11 volumes. 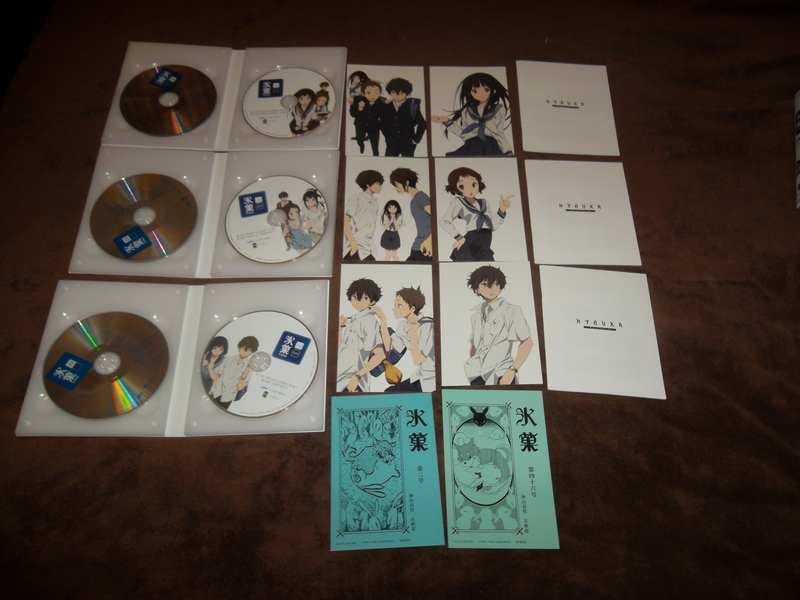 This is a review of all 11 Hyouka Blu-ray Limited Edition volumes. 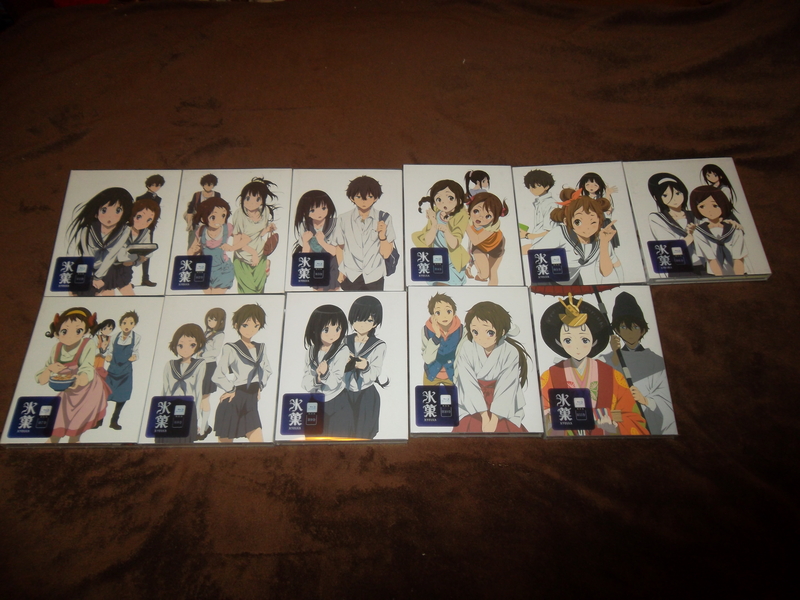 Each volume of Hyouka comes inside a clear case detailing the contents of the volume on the reverse side. The digipak cover art is newly drawn by character designer Futoshi Nishiya while the volume comes with 2 discs: a blu-ray disc and a CD. 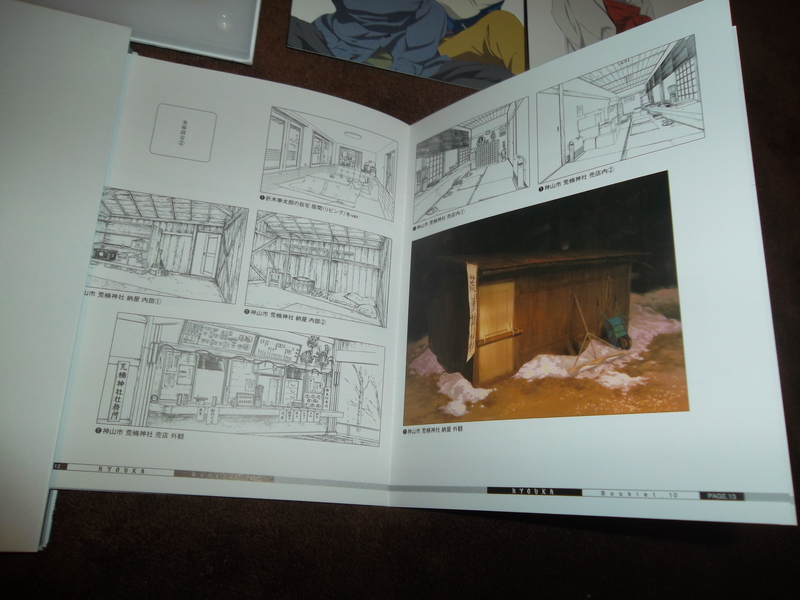 Included inside the digipak is a small booklet filled with episode information, production materials, and some pictures during location scouting. Also included are two postcards: one featuring the art included on the limited edition DVDs (and said DVDs had one with the Blu-ray version cover art) and a newly drawn postcard featuring one of the characters. However, some volumes have more physical extras than just the ones listed above. 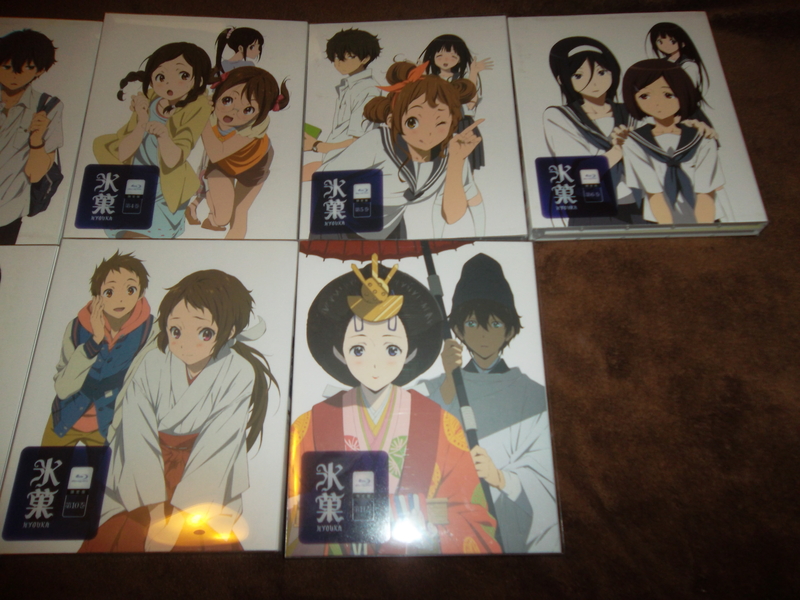 Volume 3, the final volume of the “Hyouka” arc, includes 2 additional postcards of the “Hyouka” anthology (volumes 2- the one used as a reference and volume 46-the one Mayaka draws). Volume 6, the first of the “Kanya Fest” arc, includes a replica booklet of the one Satoshi references. 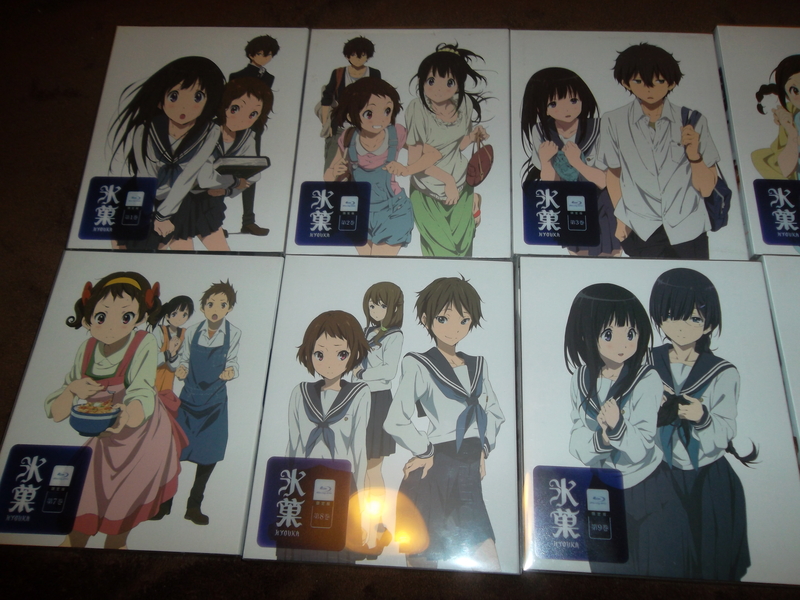 Volume 7 has the poster featured in an episode along with four bromide photos of Chitanda from episode 13. Volume 8 includes 6 postcards: 4 drawn by Mayaka and Ayako and the cover arts for the two doujin manga mentioned. Volume 9 includes the short story featured in episode 18 (it wasn’t published in book form until the 6th novel was released in 2016). 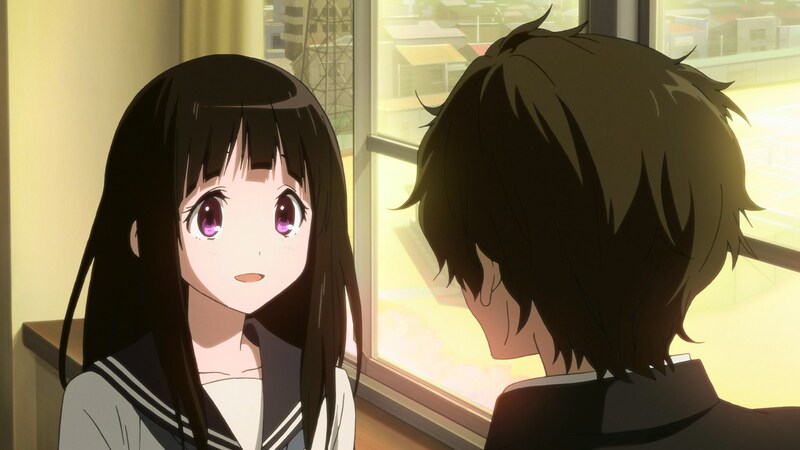 Visually, Hyouka looks great, but not as great as some later works. The series uses a lot of earthy and/or dark colors, which definitely test any encoder. Kadokawa’s encoding is pretty good with only a few instances of banding that I noted (could also be my system). What I tended to note more during this re-watch is more simple photography outside of the big mystery-solving instances. The photography staff became more used to filters and such after this series. The audio tracks are the main audio in Linear PCM form with audio commentary from director Takemoto and either series composer Shoji Gatou or Kadokawa’s producer Ito (volume 3 only) over each episode in Dolby Digital format. As always, Takemoto and Gatou together is very comedic. The main track has a good solid mix of music, sounds, and voices mixed together so that neither overshadows the others. Included on each disc are a few bonus features. Volume 1 includes textless versions of the first opening and ending animation along with commercials shown on TV and the promotional video. Volume 6 has textless versions of the second opening and ending animation. 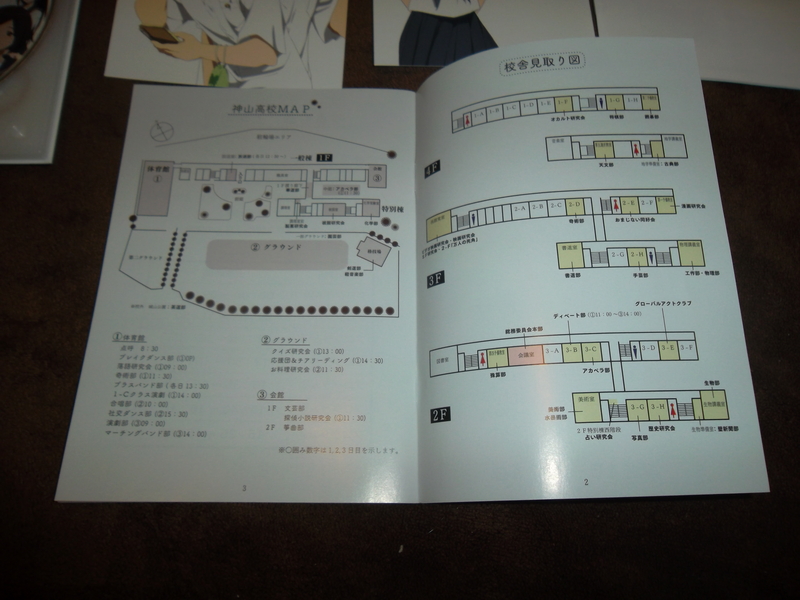 Volume 4 has a digest of the preview stage greeting from April 2012. 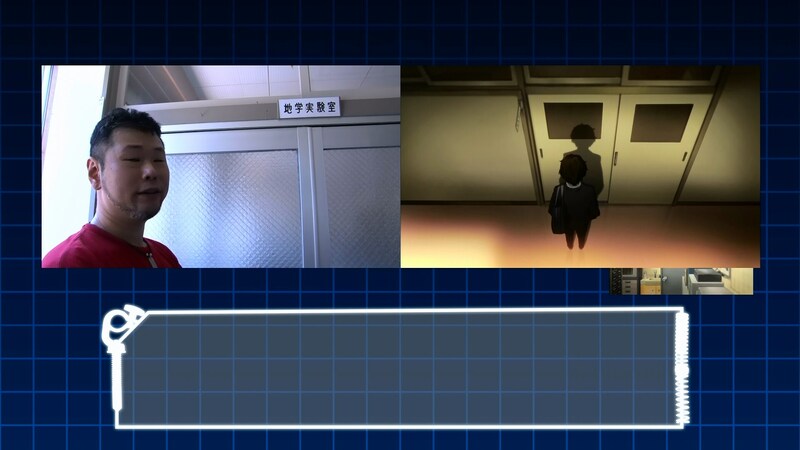 In addition to that, each volume features location-scouting footage for scenes relevant to that volume (ie volume 4 goes searching for an inn to feature in episode 7) and footage from the recording of the opening and ending songs. 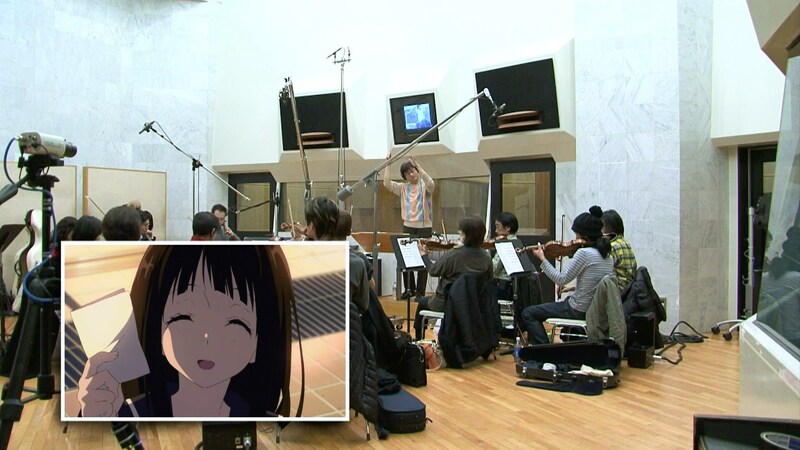 Volumes 1-5 also feature footage of the background music being recorded. 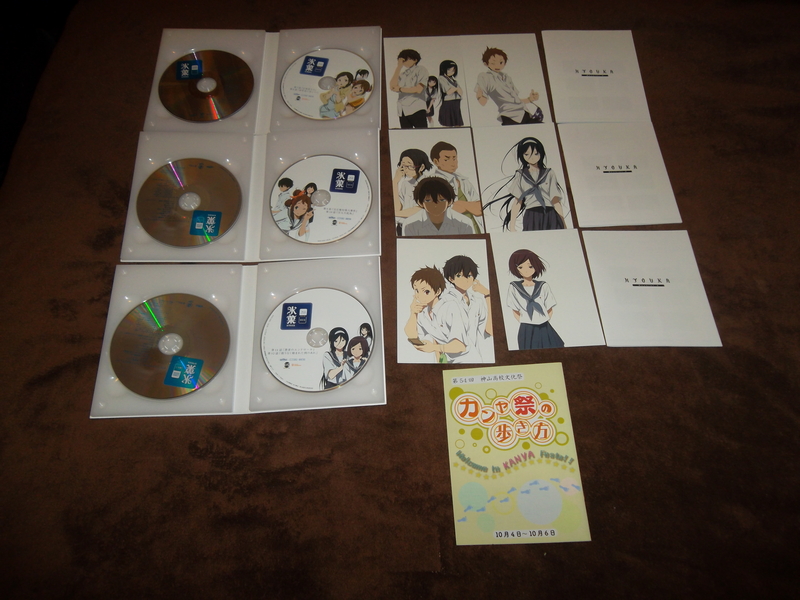 Overall, Kadokawa’s Ito produced a wonderful set of Blu-rays for a wonderful show. These are all currently out-of-print, so you can’t buy them new in store anymore. 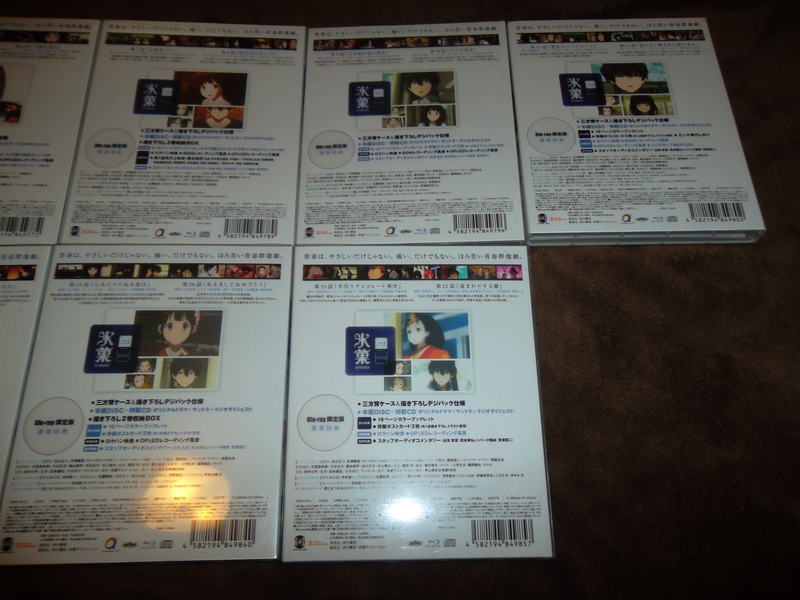 A Blu-ray Box was released in 2015 containing all of these episodes plus the OVA on 4 discs. 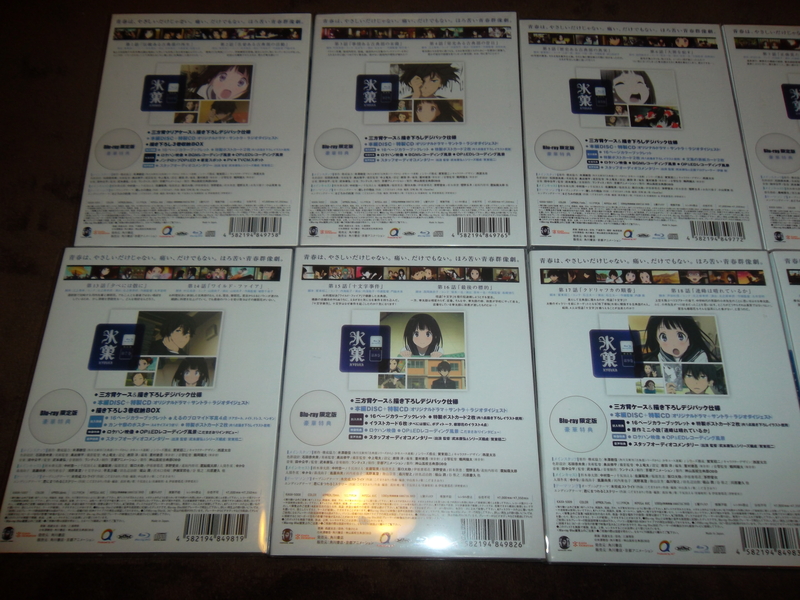 The textless opening/endings and commercials along with a new digest video of Chitanda’s acress, Satomi Sato, at the 2013 Living Dolls Festival are included on that set with a booklet including all the content from these booklets. It’s a good substitute if you don’t care for the location scouting videos. 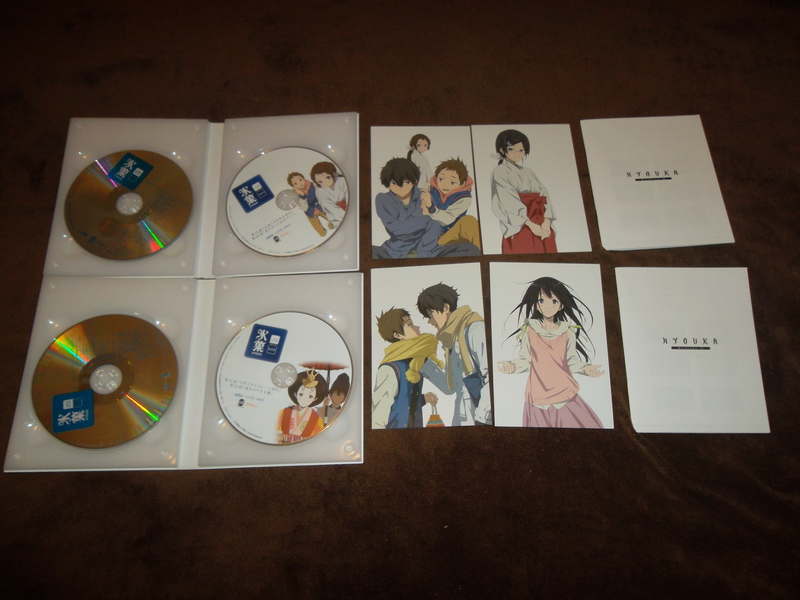 This entry was posted in Blu-Ray, Hyouka, Kyoto Animation, Reviews and tagged Blu-Ray, box, hyouka, Review. Bookmark the permalink. 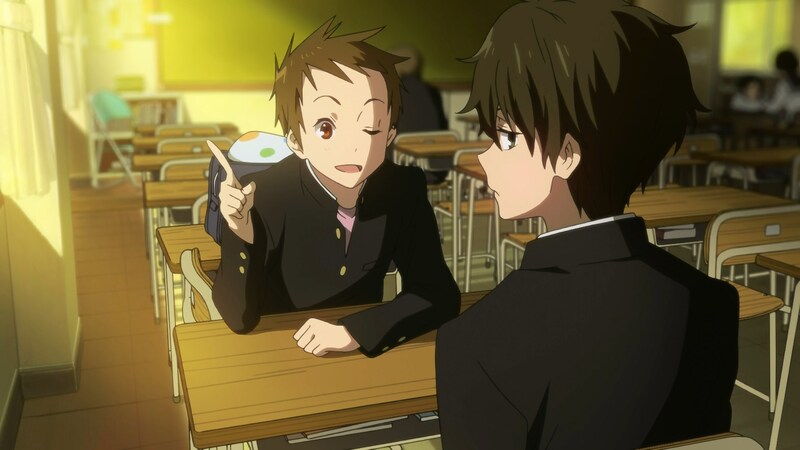 Hyouka is one of those shows that most people would enjoy–if only it wasn’t so underground and hard to find. If ever it got a IS release, if definitely be willing to throw lots of money at it. Love each of those Japanese covers, though. Thanks for sharing–collecting them all is quite the feat! I would love to own that, but I guess I have to settle with the less stellar BD box set. Are you going to do a review on that one? I’m curious if the video quality remains the same. I do not own that Bd-Box, so I can’t comment on it. Given past Kadokawa tendencies, I’d be shocked if there was any change at all in the video quality. They use the same files over and over again, so the video should be the exact same as the singles. I hope you are right. 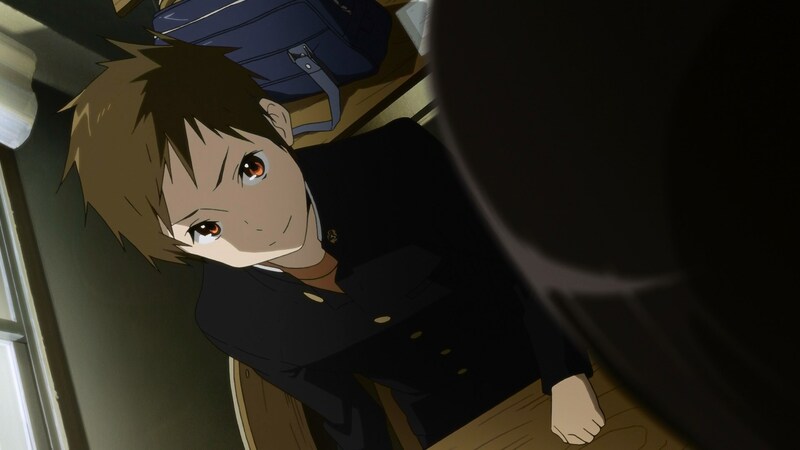 I just placed an order for the Hyouka BD Box. It was on sale today for 238 USD which is the cheapest is has ever gone down.